If you want to get a bit more creative with the typography of your WordPress theme then keep reading. The word typography originates from the ancient Greek words “typos” which means form and “graphe” which stands for writing. Therefore typography means the arrangement of the letters and symbols on your website in order to convey language and communication. There are many attributes pertaining to the letters and symbols which you can set such as the font-family, font-type, font-size etc and all of these qualities will determine how well the words appear on your web pages. By default there are many standard font families you can already use on your website which are optimally designed for easy readability on websites and a nice crisp style. For example, Ariel, Helvetica or sans-serif are the common ones. There are also other font types you can choose ranging from expensive commercially licensed fonts to the freely available Google Web Fonts. In this short tutorial I will show you how to modify your WP theme by creating a child theme so you can display any of the hundreds of font-families available in the Google Web Fonts directory. Note: I will be using the twentyeleven theme as the basis in this example but the same principles should also apply to any theme. Somewhere on your computer create a new folder which will contain your child theme. We’ll call it new-twentyeleven. Inside the new-twentyeleven folder create a new file called style.css. 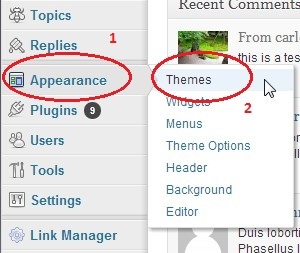 The comment section from lines 1 to 17 and the line immediately following it (line 19) are the minimum things required to define a WordPress “child theme”. The child theme name is defined in the first line of the comments and the import statement on line 19 simply tells WordPress that this child theme will inherit all of the styling and display from the parent twentyeleven theme. For example if you activate the child theme with just the code from lines 1 to 19 you will get the exact same display and behaviour as the standard twentyeleven theme. But since the power of child themes lies in the fact that we can override the styling and functionality of the parent theme, I have also inserted the CSS code you can see in lines 21 to 29. 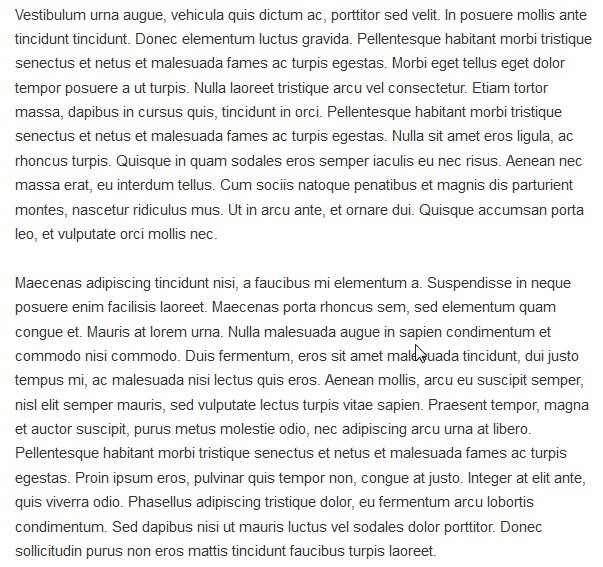 This code will set font-family, font-size and line-height of all the body text in each of my site’s posts. In this case for our example, I am using a font family from the Google Font Directory called “Adamina”. 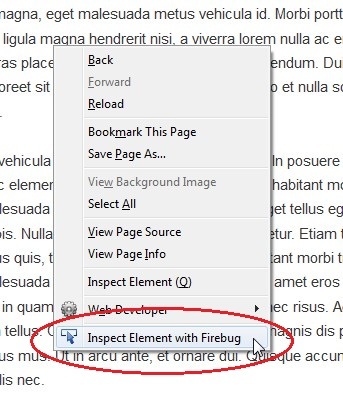 Then when the FireBug window opens you can see which CSS class you will need to specify when writing the CSS code in your child theme file (see below). Now create a new file called functions.php in your child theme directory. In other words, the above will allow us to use the new “Adamina” Google Web font on our WordPress site. But what if I wanted to use more than one Google Font on my site? So now that the child theme is ready, FTP it to the “wp-content/themes/” directory of your WordPress site. You have now successfully added a Google Font to your new child theme! 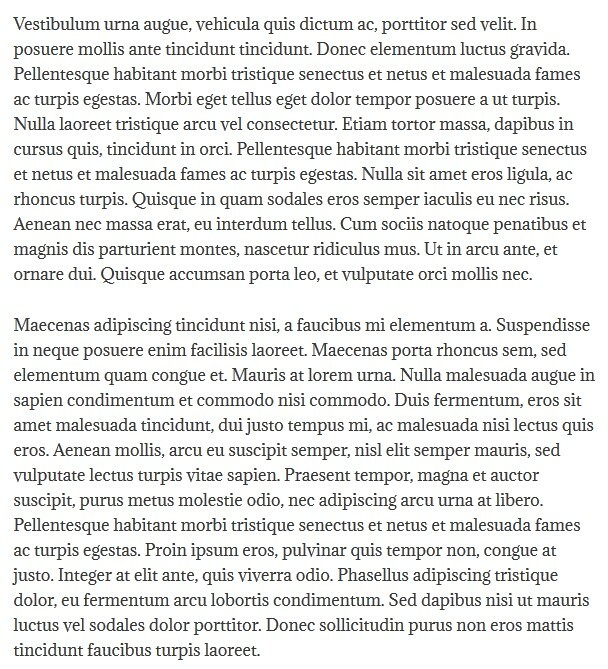 After activating the child theme the website will display the new Google Font called “Adamina” for all paragraph/body text. Will this method work for twenty fourteen child theme? Plugins really slow down WordPress sites I try to avoid them if I can and use JQ enqueue scripts. I use genesis themes but don’t like its default font can i use Google fonts without using any plugin ?? I was just installed the WP Google Fonts plugin for WordPress and I really like it. It’s the easy font plugin for me allowing easy access and usage of a lot of different fonts for my WordPress website. The thing I was just wondering is if the fonts will show up in every browser and computer (both Mac and PC) and will not go back to the default font or not even show at all? You wrote that the code shold be placed in WP-site, What file is that?